It consist of outer ring ,inner ring and small roller and spacer.Each roller in a crossed roller bearing is crossed at a 90° angle,which is able to handle the loading force from multiple direction at the same time. 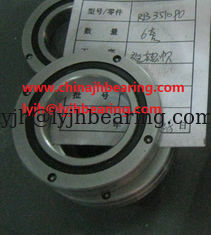 RA crossed roller bearing series belong to outer ring split in half, the inner ring whole unit.RB3010UUCC0 Bearing belongs to light and compact type with thinnest possible inner and outer ring.It is suit for place that weight reduction and downsizing are required,such as the hand swiveling unit robots and manipulators. 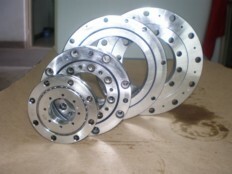 The ring and roller material are GCr15. Besides of RB3010UUCC0 ,We can offer RA5008UUCC0,RA6008UUCC0,RA8008UUCC0,RA7008UUCC0,RA9008UUCC0,RA11008UUCC0,RA12008UUCC0,RA10008UUCC0,RA13008UUCC0,RA14008UUCC0,RA15008UUCC0,RA16013UUCC0,RA170013UUCC0,RA18013UUCC0,RA19013UUCC0,RA20013UUCC0 , RB2008UUCC0, RB2508UUCC0,and customized crossed roller bearing type. 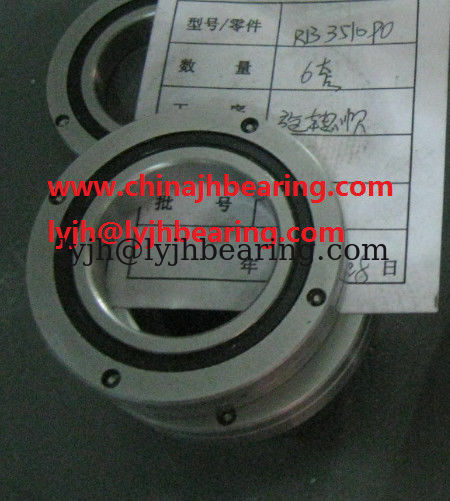 For the RB3010UUCC0 Bearing we had filled in the good No.2 Li Base grease into them,then it can be directly mounted after receiving the RB3010UUCC0 Bearing.But compared with other conventional roller bearing,the internal space is smaller,so regular refill the grease is necessary. 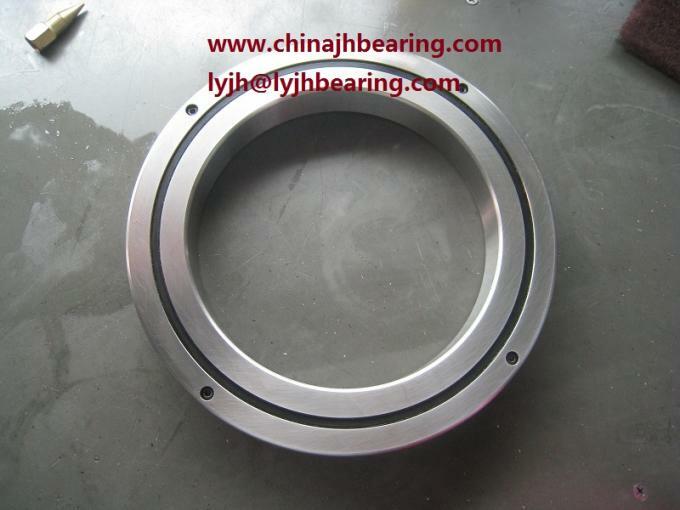 The grease is entering into the oil holes which in the ring and connected with oil gap.The intervals are usually six months in one year.Please use the same grease to fill into the RB3010UUCC0 Bearing. But note that,because of the resistance of grease,the torque moment will increase in a short time the the beginning period.After redundant grease overflows from the seals ,It will recover the normal torque value.